Milk quality varies widely, depending on the breed of cow whose milk is used, the feed used, the medical condition of the herd, and numerous other factors. Genuine Foods milk is sourced from local farms (within one hour’s drive from Johannesburg). The farms that supply Genuine Foods do not treat their cows with r-BST, a synthetic hormone that promotes lactation. Our milk is also antibiotic-free. Genuine Foods milk is pasteurised, but is not homogenised. Pasteurisation refers to a process wherein milk is heated for a few seconds in order to kill harmful bacteria which might be present in the milk. Milk naturally separates into two layers. The top layer is cream, which contains the majority of the fat in the milk. This floats on top of the watery part of the milk, which contains the proteins and sugars present in milk. When the top layer is removed (“skimmed”), the remaining product is called skim milk, or fat-free milk, because most of the fat has been removed. 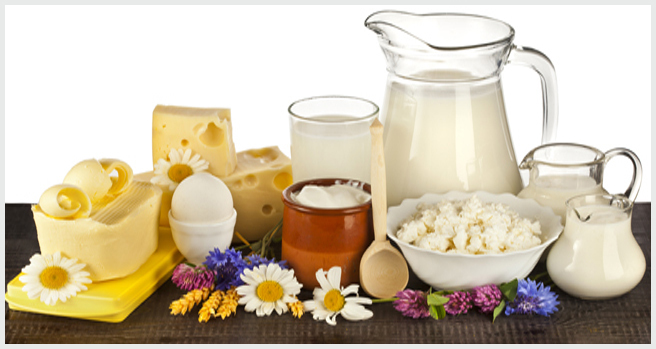 Homogenisation is a process whose purpose is to make the milk homogeneous i.e. to distribute the fat evenly throughout the milk. Once this is done, the milk will no longer separate into two layers. Homogenisation is a mechanical process: milk is forced through tiny tubes at extremely high pressures in order to break the fat globules in the cream, after which they no longer float to the top of the milk. There are no health benefits associated with homogenisation. 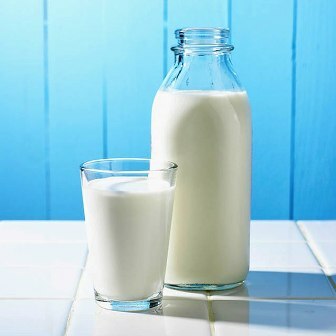 Its purpose is to extend the shelf-life of the milk, and to enable the milk to be frozen. Genuine Foods milk is, as stated above, not homogenised. If a layer of cream forms on top of the milk, simply shake the bottle. The milk produced by cows naturally contains about 3½ % fat and is called Full Cream Milk. Low-Fat Milk has had some of the fat removed and contains about 1.7 % fat. When most of the cream is removed, the resulting product is called Fat-Free Milk and contains very little fat. Genuine Foods milk is pure; nothing is added to it. In the case of Full Cream milk, nothing is removed from the milk. In producing Low-Fat milk, only a portion of the cream is removed. In producing Fat-Free milk, most of the cream is removed. Yoghurt is produced by adding bacterial cultures to milk. 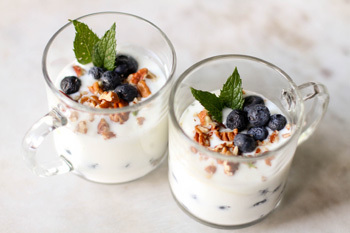 The bacteria ferment the lactose (a type of sugar found in milk) and produce lactic acid, which in turn acts on milk protein to give yogurt its texture and its characteristic tang. 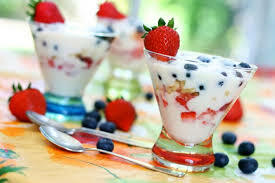 Yoghurt is nutritionally rich in protein, calcium, vitamin D, riboflavin, vitamin B6 and vitamin B12. Lactose-intolerant individuals may tolerate yoghurt better than other dairy products. Yoghurt is an especially-valuable health food for both infants and elderly persons. For children, it is a balanced source of protein, fats, carbohydrates, and minerals. For senior citizens, who frequently have more sensitive colons or who no longer produce much lactase, yoghurt is also a valuable food. 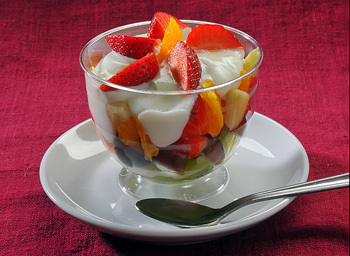 Many yoghurts contain added starch, gelatine or pectin to create thickness and creaminess artificially at lower cost. Manufacturers may also use milk powder or whey powder to achieve the desired texture. In contrast, strained yoghurt is yoghurt which has been strained through a filter to remove the whey (the watery part of the milk), giving a much thicker consistency. In North America and Britain, strained yoghurt is commonly called "Greek yoghurt". In order to produce 1 kg of plain yoghurt, Genuine Foods uses 4 litres of milk. In contrast, regular, commercially-produced yoghurt, in which a thickener is used to obtain the desired texture, 1 litre of milk is used to produce 1 kg of yoghurt. This makes commercial yoghurt much cheaper to produce, but it is an inferior source of nutrition in comparison to strained yoghurt. Genuine Foods only produces strained yoghurt. 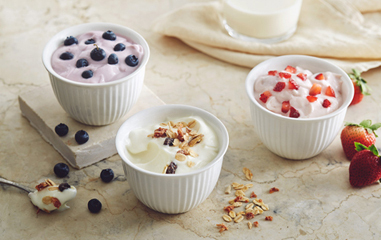 Our plain yoghurt contains only milk and bacterial cultures. We do not add any thickeners or sugar. Our yoghurt is also gluten-free. It is low in carbohydrates, because no thickener (typically starch) has been added. However, it is much higher in protein, due to the concentrated nature of the yoghurt. Genuine Foods fruit yoghurt only contains our plain yoghurt, fruit and sugar. We produce our own syrups, using real fruit. All Genuine Foods products are certified Chalav Yisrael by the Johannesburg Beth Din. Chalav Yisrael products are super-kosher. This means that the milk has been supervised by an observant Jew from the moment of milking until the final product leaves our factory, to ensure that no non-kosher substances have been added to it. In contrast, regular kosher dairy products are not supervised. Our Chalav Yisrael status is indicated by the logo shown on the right, which appears on all our products . Address: 4 Diagonal Road, Eastleigh, Edenvale.